- WRONG! In so many ways...first of all your nails dry when all the solvents from the polish have evaporated. So how is that mean to happen when there is no air in a bowl of water?? Also, HEAT is a catalyst for the drying process, so if you really want to speed up your drying time then get your hair dryer on it, or put your hands over a heater or a heat lamp etc! Or buy a fast drying nail polish brand such as CND Vinylux. So stop waving those hands in the air or blowing on your nails girls, it's not going to work! - Hmm, when was the last time you saw something that was dead, breathing? Yes, even though your nails "grow", they are dead. 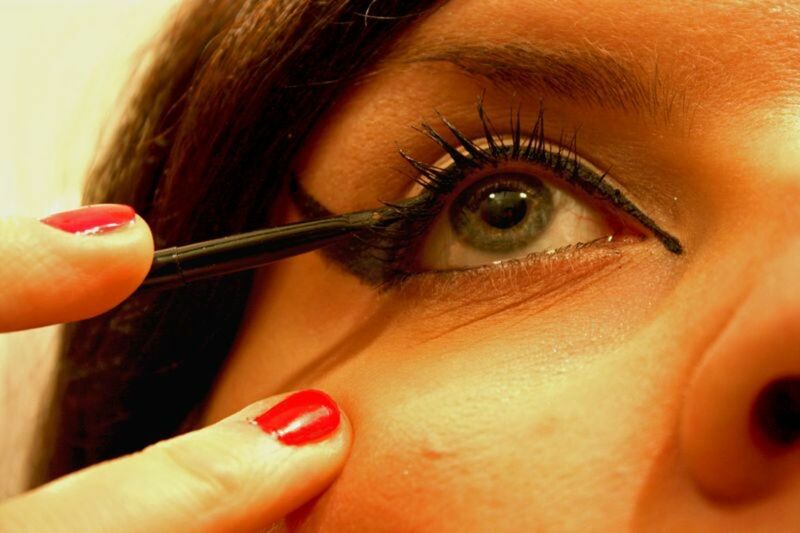 Your nails are made of the same stuff as your hair and guess what? Your hair is dead too! All you can do (same goes for your hair) is condition the nail so it doesn't become fragile and break. So you don't need to give your nails a break from polishing, In fact you are actually protecting your nails by coating them in some polish. The 3 C's apply here; Care, Coat and Condition. - This is one famous fact that even some professionals don't get right. 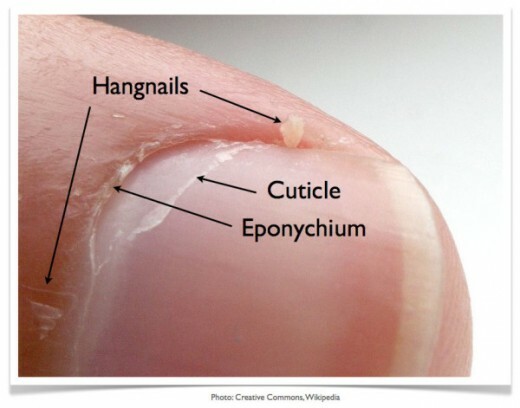 Your cuticles are not the piece of skin at the very top of your nail, that is actually called the Eponychium. The cuticle is actually the name for that white substance you can scrape off your nail and can grow right down the middle of your nail. You remove cuticle, or you should, with every mani/pedi. - This is in relation to the above myth. Your Eponychium (what you think is cuticle), should NOT be trimmed at all. The eponychium is there for a reason, to protect. The eponychium is like a guard to prevent infection and bacteria entering. If you start trimming or pushing them right back you are exposing yourself to infection. - If you get thick gloopy nail polish then please don't try to thin it down, especially if it's a DIY gel polish. When nail polish is made, it's made with the exact quantities of the ingredients to make up the polish for the desired effect. If you start adding your own chemicals to thin out the consistency, you're messing with the formula and you may find the polish won't do/act the way it's meant to. - No, they're not. I could go on and on about the scientific facts and research that have gone into these UV lamps but the end result is that you walking out in the sun to your car is more damaging to your skin than a UV lamp. I know for a fact that the CND UV Lamp only emits the safer UV rays also. If you are still paranoid about getting cancer from a lamp, put some sun screen on before your appointment and there are now fingerless mani "gloves" to only expose your nails to the rays. These are just a few examples of common misconceptions. 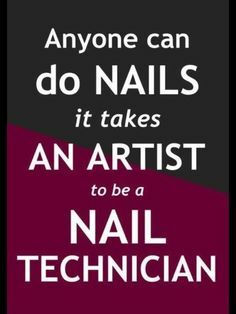 Please don't listen to all the negativity surrounding the nail industry, do your research, ask well educated professionals and think logically! What did you think your cuticle was?? I knew it was really the eponychium! I was part of the misinformed mass! So how many of you gals have just spent the best part of half an hour freshly painting your pretty new nails, you think the polish is dry so you carry on doing what you need to do around the house and oops! You've smudged the polish whilst fluffing the cushions. Or maybe you've even had a rest on the sofa and oops! 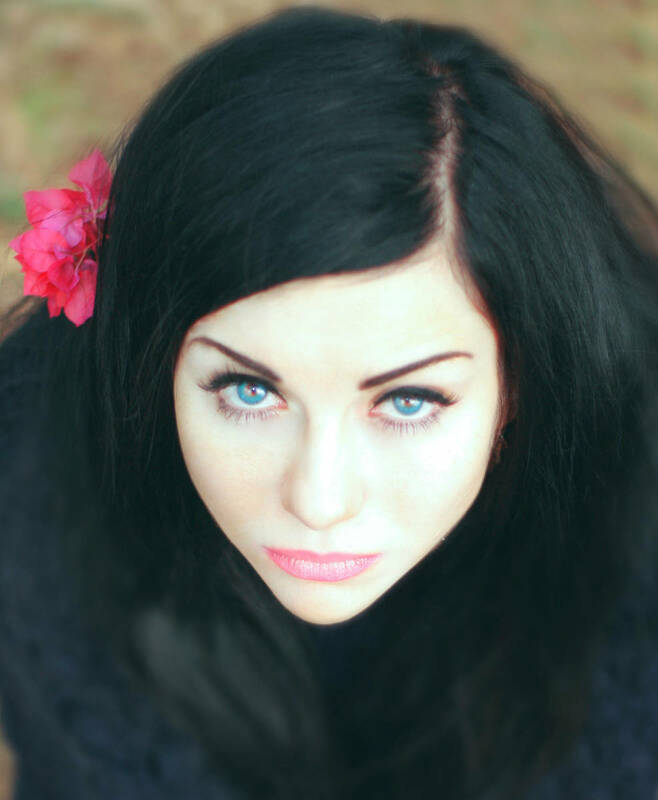 Smudged the polish when you rested you hand on your hair. As long as the polish is only smudged, and not dented, it's still fixable without taking off the polish and re-doing it. All you do is lightly glide your finger over the smudge in a downward motion until the rippled polish smooths out, then reapply a layer of topcoat and it's sorted! If you are doing your weekly manicure, and you go to your beauty drawer/cuboard/desk (whatever it may be!) only to find that you're out of your favourite nail oil, don't panic! 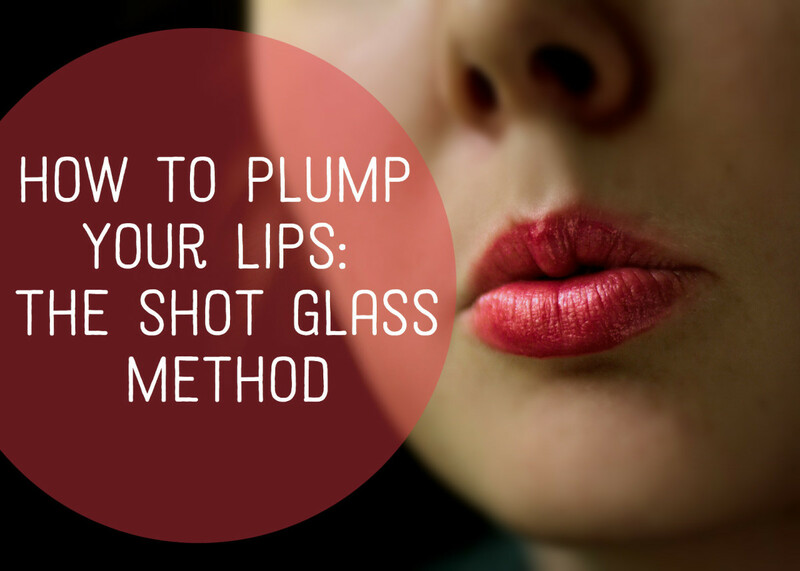 There are temporary alternatives you can use. Jojoba Oil, Bio Oil, Almond Oil, Vitamin E Oil, Castor Oil just to name a few. What nail file to use? If you are wondering what nail file to use then it depends on both your experience and your nail needs. If you are confident in using a regular grit nail file and you want a decent amount of your nail length reduced then a regular 240 grit nail file is the way to go. Please do not go any lower than a 240 grit file or you will just be shredding your nail plate layers! If you just want to tidy up your nails and want smooth edges then a crystal/glass nail file is for you. Can't use a nail art brush/don't have one? If you are like me and you cannot paint a neat design with a nail art brush, then you will want to give the good old dotting tool a try! Dotting tools aren't just for making dots ya know! I don't use nail art brushes at all, I use dotting tools for all my designs. Don't have a dotting tool? If you don't have a dotting tool either, then you can make one! Have a watch of the video by 'cutepolish' below to find out how. Want a half moon mani but don't have a steady hand? Carrying on the theme of household items for your nail art. There are other things around the house you can use to aid in creating that classy half moon manicure. All you need to find are little circular stickers of any kind in the size that you need/want and place these over over your DRY half moon colour coat, then paint your other colour coat on top, once those are dry, peel off your stickers! The theme I have going on here is that all these nail art designs you see, you don't need fancy tools or products to create them. There is always something around the house you can utilize. What you do need a professional for. After all is said in this article. You don't need a professional to have nice artsy looking nails. However you do need a professional when it comes to nail enhancements such as extensions. Please do not attempt this yourself with one of the acrylic nail kits you get at your local beauty/cosmetic shop. These kind of services don't just require the practical ability to create such nails, but also knowledge of the chemistry of the products you're using, have the correct ratio of product when applying etc etc. So unless you are a qualified nail technician or have had some sort of professional training, please make an appointment with your nail salon. The money you will spend on getting your nails done professional will be a lot less in the long run than the amount you will spend trying to get your technician to repair the possible damage you may well have caused.